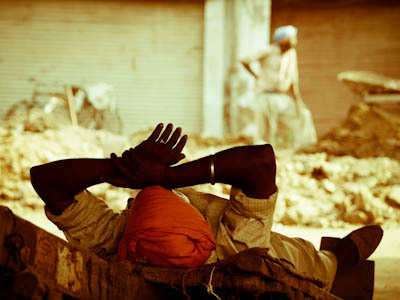 A street worker sleeping in the shade of a flyover while his colleague waits for supplies. Taken on a street in Amritsar. 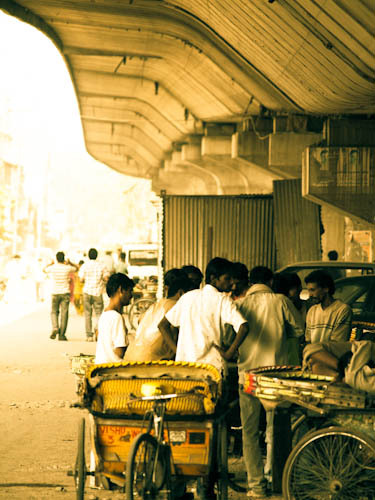 Riksha drivers debating or watching the outcome of a game to while away the time, Amritsar. A blind man with knapsack and teapot sitting by himself in the Golden Temple while behind him a large family gathers on the warm marble floor. 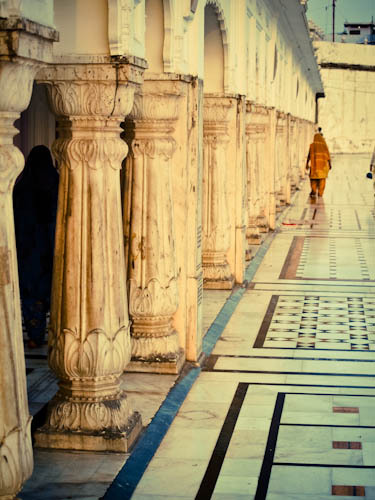 Two women, one in the shade of the colonnades, the other in bright sun, walking along the inner courtyard of the Golden Temple. All images copyrighted by Sebastian Buchner. Don’t use unauthorized, leave alone, angry dogs barking and so on. how beautiful. 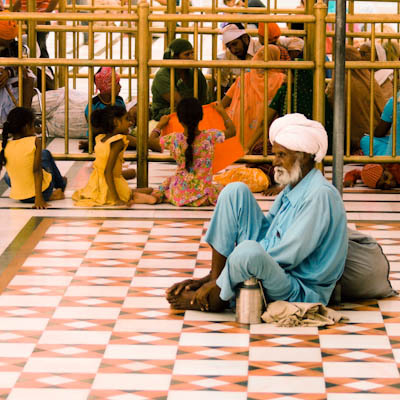 the images capture so many impressions… would love to visit amritsar again sometime!